The Graff name has been prominent in Flint, Michigan automobile circles for over a century. Otto P. Graff, founder of the company that bore his name for many years, signed an agreement with the Ford Motor Company in 1914 to sell 125 cars a year. As the treasurer of Genesee County from 1910 until 1914, Mr. Graff was well known to the Flint banking community. When Ford removed the previous dealer they asked Mr. Graff, as the treasurer of the county, who he thought would make a good dealer. He replied “I would”. He had often looked out his office window and thought “If I had $1 for every car in and out of that Ford dealership it would be a good thing”. And so, with $600, which he and his wife Flora had saved, and high hopes, the new enterprise was launched as the Ford Sales Company. It was located on N. Saginaw Street, just north of the Flint River. The first year was encouraging with sales exceeding the 125 car quota and reaching the 150 mark. Several important events happened in the following months. The name of the company was changed from Ford Sales Company to Otto P. Graff Motor Sales, and the location was moved to the corner of Kearsley and Harrison Streets, where it remained until 1918. That year the Fordson Tractor was added to the Ford line. Henry Ford bought Henry Leland’s interests in the Lincoln car, and it too became a part of the Graff line, which eventually included Ford, Ford truck, Lincoln-Mercury and Fordson tractors. The business continued to grow and in 1924 a new sales peak of 2,400 vehicles was reached. Three years later in 1927, the Model T was discontinued, and for 18 months there were no Fords available as the company converted to the Model A. Also in 1927, Graff built a new garage at 914 Harrison Street and a new sales department on Saginaw Street. During this expansion, Mr. Graff added five sub dealers plus a variety of other holdings to his enterprise. With the advent of the Model A, business looked good again. Then came the disaster – the Depression of 1929. Otto P. Graff lost everything he had worked so hard to achieve. Thanks to Citizen’s Bank and Mr. Edward Burroughs, the bank president, Mr. Graff was able to weather the financial storm that devastated the country. The bank took all the stock in the corporation and held it until 1948 when the last of it was redeemed by Mr. Graff. All during that period, Mr. Graff was paid a weekly salary of $75 with all profits going to the bank. In 1936, Max H. Graff, fresh out of the University of Michigan, went to work for his father. He was no stranger to the business, having worked during vacations washing, servicing and selling cars – learning the business from the ground up. The following year he was assigned to manage the branch at Dort Highway and Davison Road. Cars were not manufactured during World War II as all manufacturing facilities were dedicated to the war effort. As a result there was huge pent up demand following the end of the war. Much to the chagrin of Mr. Graff, Ford decided to take Lincoln and Mercury away at the time when over 2,000 orders with deposits were on hand. During the entire year of 1946, Ford allocated only 176 cars and trucks to Graff, leaving many customers very unhappy. It required another 2 ½ years to clean up the backlog of orders. When Otto’s second son, Rex, a graduate of Ferris State College, returned from World War II, he was put in charge of the motor rebuilding department. New parts were very scarce so the rebuilding business prospered. The rebuilding business was sold in 1949, and Rex Graff took over the tractor franchise and a building was constructed at Davison Road and Dort Highway. Rex made that business thrive, and it was eventually sold in 1969 after Otto’s death. In 1948, Max was made General Manager of the Ford dealership. In 1958, Otto P. Graff semi-retired and Max became the dealer-designate. He was also president of the Kiwanis Club that year, chairman of the United Fund in 1961, president of the Flint Golf Club in 1965 and president of the Michigan Auto Dealers Association in 1967. Rex returned to the dealership in 1970 as General Manager, subsequently retired in 1975 at which time he became the executive secretary of the Genesee County Dealers Association. Max H. (Hank) Graff, Jr., Max’s son, graduated from Michigan State University in 1969, taught school in Flint for two years, and in 1971 left teaching to work full time at the dealership as a Used Car buyer. Hank spent summers, while growing up, working at a variety of jobs at the dealership. He became General Manager in 1975. At that time he hired Phil Goldman to assist him in Sales management. Two years later, Hank became the Dealer and a stockholder when he purchased Rex Graff’s stock. In 1982, a drastic step was to be taken for two reasons. First, General Motors gave all of its employees the option to purchase any General Motors vehicle below dealer cost. At that time, about 50% of the Fords sold by Graff were to the United Auto Workers members employed at General Motors. Graff could not be price competitive with Ford vehicles. Secondly, Ford had a continual problem keeping a second successful dealer in Flint and had purchased that dealership an it appeared Ford would continue to operate a factory owned dealership in Flint. Max and Hank discovered out that Uptegraff Chevrolet was for sale in Davison, and within two weeks, they were able to consummate a purchase deal. Ford was notified that Graff would give up their franchise as of August 1, 1982, and Hank Graff signed a Chevrolet franchise agreement on August 2, 1982. At the time of the acquisition, Graff and Uptegraff were the two oldest family held dealerships in Genesee County – Uptegraff for 60 years and Graff for 68 years. The new Graff Chevrolet has been a very successful operation as evidenced by the fact that 4,703 vehicles were retailed in 1986. That was the 95th largest sales volume in the United States and second largest among the Chevrolet dealers in Michigan. The dealership has expanded over a period of years to what is now – about 58,000 square feet of floor space. Television advertising was a very important ingredient in the success of the Davison dealership. The television stations used also covered the Bay City market, so it appeared to be a good move to buy the Wickstrom Chevrolet dealership in Bay City when it became available in 1986. Phil Goldman, General Sales Manager at the Davison dealership, was Hank’s partner in this dealership until 1990. Wayne Wedding, Sales Manager at the Davison dealership, was Hank’s partner and General Manager of the Bay City dealership from 1990 to 2006. The Graff FamilyIn 1987, Hank discovered that Rich Roehrs, the Chevrolet, Oldsmobile, Chrysler dealer in Gladwin wanted to retire, so Hank purchased that store. Tim Bell, the Controller from the Bay City dealership was Hank’s partner there until 1995. 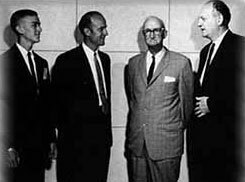 At that time John Kirby, a Sales Manager from the Davison dealership, became Hank’s partner and General Manager. In 1990, Hank and Tim Shannon, a Sales Manager from the Bay City dealership and long time Graff employee, acquired a Chevrolet, Buick, Oldsmobile dealership in Fostoria, Ohio. 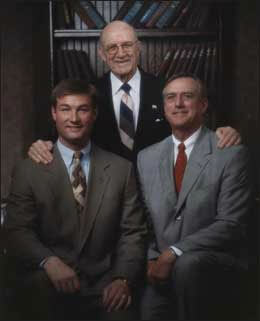 Hank eventually purchased Tim’s share of the dealership and in 1996 Jeff Cole became Hank’s partner and General Manager. Several years later, the Pontiac, Cadillac, GMC dealership in Fostoria was purchased and merged into the Chevrolet, Buick, Oldsmobile store. The Fostoria store was the unfortunate recipient of one of General Motors’ wind down letters during GM’s bankruptcy and the doors were closed in late 2009.
n 1991, Hank and Keith Barnett, the Fixed Operations Manager from the Bay City dealership, purchased the Chevrolet, Buick, Oldsmobile dealership in Sandusky, Michigan. In 1996 the dealership was relocated to a new facility on the west side of town. 1999 was a year of growth in the Graff Group as two additional dealerships were acquired. In May, 1999, Hank purchased the former Schaffer Volvo and GMC Truck dealership located in Flint and Saginaw. Keith Whitmore, Hank’s son-in-law, became General Manager and partner of both the Graff Flint & Saginaw Truck Centers. In September, 1999, Hank acquired the Chevrolet-Pontiac-Oldsmobile dealership in Durand. Mike Benmark, from the Davison dealership, became the General Manager and partner of this newest member of the Graff Group, Hank’s seventh operation. Mike retired in 2012 and Chip Watt left the Davison dealership to become the General Manager in Durand. Chris Graff, Hank’s son, was promoted to General Manager of the Davison dealership when Benmark left to run the Durand dealership. He has subsequently purchased the dealership stock and is the Dealer Owner of the flagship Graff store in Davison. 2003 was another growth year for the Graff Group as Hank purchased his eighth operation in Mt. Pleasant and ninth operation in Ottawa, Ohio. In Mt. Pleasant, Hank purchased M&M Chevrolet. Wayne Wedding partnered in the store with Hank and took oversight responsibilities for both Graff Chevrolet in Bay City and Graff Chevrolet- Mt. Pleasant. Wayne’s interest in those stores was repurchased by Hank in 2007. At that time Jim Messick became the General Manager in Mt. Pleasant and Lisa Kusey-Rechsteiner became the General Manager in Bay City. Jeff Cole added oversight responsibilities in Ottawa with the purchase of Ottawa Chevrolet. That store, called Graff Chevrolet-Ottawa, moved out of its aging facility in 2004 to a newly renovated facility on Perry Rd. Jeff Cole left the Graff organization in 2009. Currently Mike Pauley is Hank’s partner and the General Manager at the newly renamed Ottawa Chevrolet. In 2006, Hank purchased Pres Kool Chevrolet in Okemos with Chris Graff as a partner and Matt Sloan as the General Manager and partner. Matt worked his way up through a variety of positions in Davison and is now doing a fine job upholding the Graff standards in the greater Lansing area. Chris purchased Hank’s stock in the Okemos store in 2011. During 2012, Hank sold his interests in the dealerships in Durand, Gladwin, Sandusky, and Mt. Pleasant to Chris. Chris also acquired 51% of the stock in the Bay City dealership, after Lisa Rechsteiner had purchased a minority interest in 2011. Also, Hank sold his interest in Graff Truck Centers, Inc. to his son-in-law Keith Whitmore. Later in 2012, Chris Graff purchased the Shaheen Buick GMC Cadillac dealership in Mt. Pleasant. Jim Messick became the General Manager of this dealership and his wife Lynette Wedding took over as the General Manager to the Mt. Pleasant Chevrolet dealership. In 2013, Chris sold a minority interest in both Mt. Pleasant dealerships to Jim Messick. As the Graff footprint grows in the future, we will continue to service more customers with a smile and the attitude of “Making Friends Since 1914”. The Graff group of dealerships is proud to be a fourth generation family owned enterprise and will continue to grow and prosper in the future by continuing to treat its customers, employees and business associates as if they were family. Thank you for allowing us to continue for one hundred years as an ongoing family business.